A $500 deposit is collected for incidentals damage and/or cancellations. The deposit is returned after the completion of the post event walk-through pending there is no damage to the facility. Any outside person, group, or organization granted use of any facility shall be required to file with the office of Events, a certificate of insurance naming Harris-Stowe State University as additional insured. The limits of said policy shall be no less than $250,000 for injury to any person $1,000,000 for injuries in any one accident and $1,000,000 for property damage. This certificate must be provided at least two weeks prior to the event. $85 per hour: 4 hour min. $ Cost per hour: 4 hour min per officer. 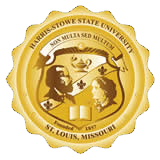 Number of officers are determined by the Harris-Stowe Office of Public Safety. *Please call University Events Coordinator at (314) 340-3506 for the 2018-2019 venue rates.